Ramon has designed a friction folder variation of the immensely popular Redención knife! 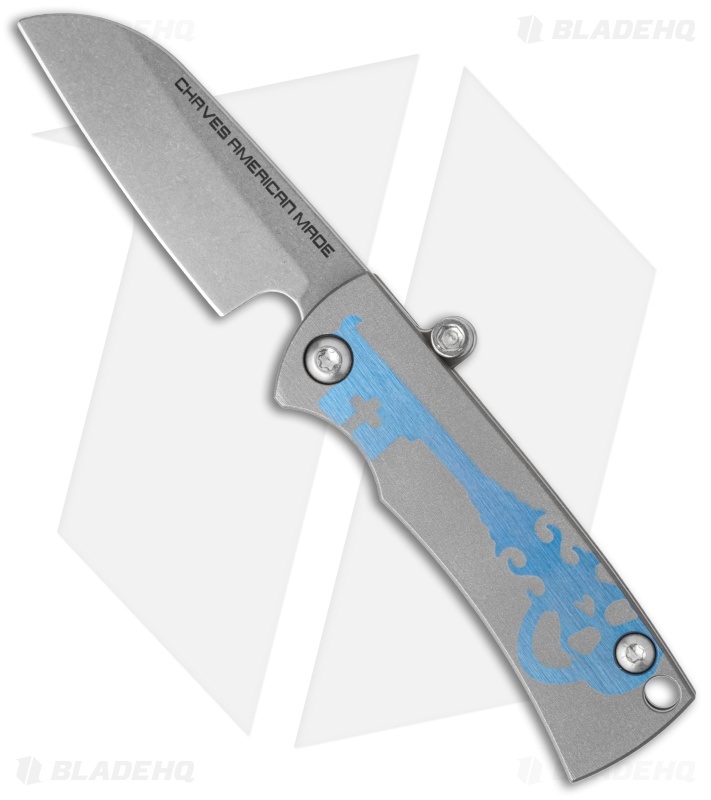 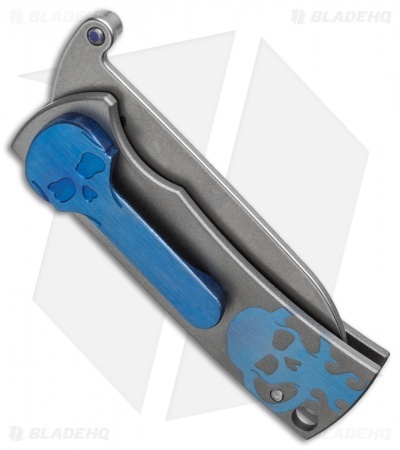 This Chaves American Made Redencion Friction Folder features customized titanium handle slabs with a blue anodized skeleton key logo and a matching blue skull pocket clip. 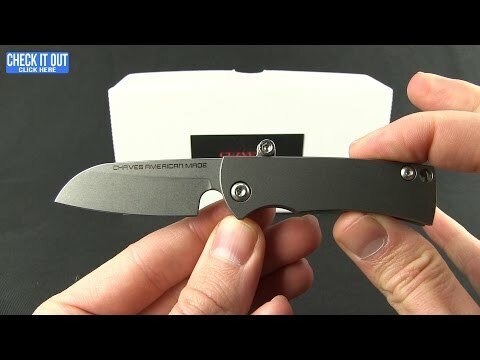 Non-locking sheepsfoot style CPM-S35VN steel blade. 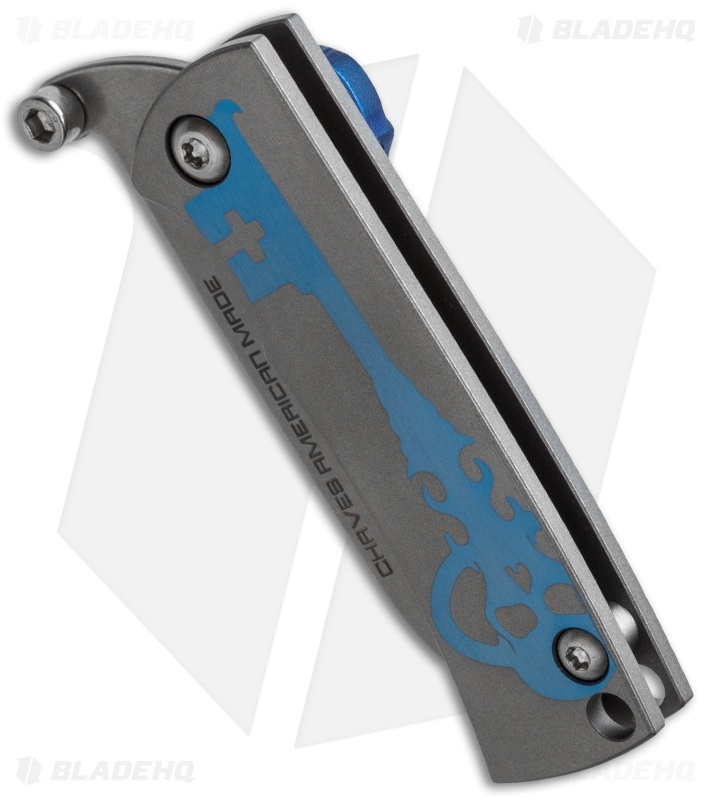 Glass blast finished titanium handle with custom anodized design. Compact frame perfect for everyday carry. Classic blue anodized Chaves Skull pocket clip.